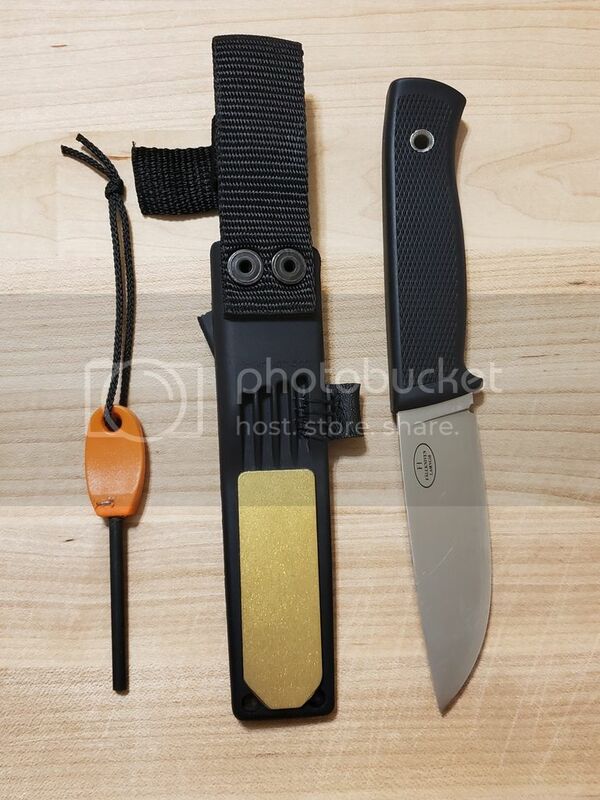 How to fix your noisy Fallkniven Zytel Sheath + More! Discussion in 'Sheaths & Such' started by letsurf, Sep 1, 2018. A lot of Fallkniven owners complain about the Zytel sheath so I just wanted to show how I fixed the noise problem and a few other modifications I made. 1. I tool a drill bit and heated it to red hot, then pressed it into the sheath a few inches from the bottom. The indention reduces the gap and the F1 now rides quietly in the sheath no matter how active you are. 2. I drilled a few holes in the side and custom made a kydex fire starter holder. I used saddle thread but you could also use some aircraft wire or something if you want it more durable. 3. 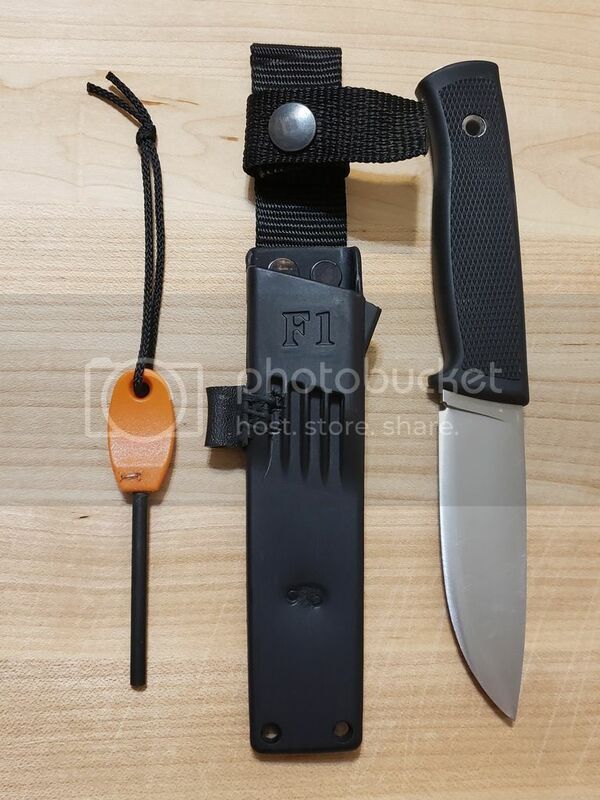 I modified and attached a Fallkniven 3dt diamond sharpener to the back of the sheath so I always have a sharpener with me. The sheath is waterproof, extremely lightweight, and with the few modifications I think a pretty good system for stock. d762nato and Cryptyc like this. I like this, a lot! Thank you for sharing your mods. Glad you like it =) The noise really bothered me when walking around the woods and I'm not worried about cosmetics.